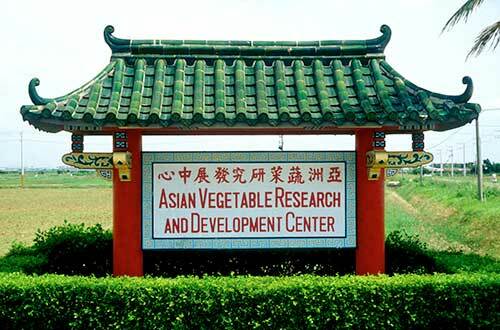 Founded in 1971 as the Asian Vegetable Research and Development Center (AVRDC) with a focus on tropical Asia, today the work of the World Vegetable Center spans the globe. Headquartered in Taiwan, with regional bases in West and Central Africa, Eastern and Southern Africa, East and Southeast Asia, South Asia, West and Central Asia and Oceania, the Center has 44 international scientists and 300 national scientists and support staff dedicated to the mission of alleviating poverty and malnutrition through the increased production and consumption of nutritious, health-promoting vegetables. Vegetables are our most important source of the micronutrients, fiber, vitamins and minerals essential for a balanced and healthy diet. They are also a major source of cash income for smallholder farmers. But in most countries of the world, production is too low to provide their populations with even the minimum intake required for good health. Diets in many developing countries are commonly overloaded with more accessible carbohydrates and fats resulting in increasing global rates of obesity. Contamination from microbial sources and pesticides also reduces the safety of many vegetables in developing countries and high postharvest losses further reduce the availability of the relatively little that is grown. For 40 years the World Vegetable Center has been the world’s leading international center focused on vegetable research and development. We maintain the world’s largest public sector vegetable genebank, with a focus on hardy traditional vegetables important as food for the poor as well as wild relatives of common vegetables. Our improved varieties are planted on millions of hectares around the world and our production and postharvest technologies have made major improvements in smallholder incomes. The Center seeks to overcome malnutrition and poverty and facilitate good health for both the rural and urban poor by increasing the production, quality, consumption and profitability of nutritious and health-promoting vegetables. By promoting crop diversity and better balanced diets, we can help to reduce obesity and associated health problems. 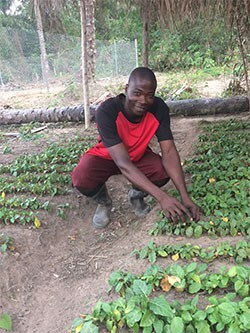 Through the dissemination of good agricultural practices and effective postharvest value-addition and marketing mechanisms, the Center fosters opportunities for increasing employment and incomes for small-scale farmers, landless laborers and communities. Although our work of 40 years is by no means complete, it does represent a major step forward in bringing prosperity to the poor and health for all.